This article originally ran in The Herald Newspaper (Scotland) on Jan 10, 2013, under the heading WHEN FOLK GET TOGETHER. There’s a line in the 1968 Incredible String Band song, The Circle is Unbroken, which sings of “brothers from all time, gathering here”. It could have been written for this year’s Celtic Connections, which sees the Incredible String Band’s psych-folk sage Mike Heron join forces with his latter-day spiritual kinsmen Trembling Bells for a collaborative folk-rock performance. They’ll rekindle songs from the first four ISB studio albums, and TB’s debut LP Carbeth, under the loose title The Circle Is Unbroken. As with so much of the British folk-rock narrative, the collaboration was sparked by American producer, writer and catalyst Joe Boyd. Boyd invited Trembling Bells to perform at an Incredible String Band retrospective at London’s Barbican in 2009. (ISB co-founder Robin Williamson declined to participate saying he “didn’t want to look back”). The Bells and Heron struck a chord, and they’ve since toured together and issued a split seven-inch with TB ally Bonnie Prince Billy. “I guess Joe identified some kind of commonalities between the Incredible String Band and our song-writing, and that was incredibly flattering,” says Trembling Bells’ Glasgow-based frontman Alex Neilson. “Everyone in Trembling Bells is a massive ISB fan – they went a long way to forming our individual and collective musical aesthetic.” They’re not alone: Paul McCartney called ISB’s 1968 opus The Hangman’s Beautiful Daughter one of his favourite albums; The Rolling Stones wanted to sign the band; Robert Plant is a devotee; even The Archbishop of Canterbury is an avid fan. Heron credits Trembling Bells with enabling him to revisit songs he otherwise could not perform. “I really like Douglas Traherne Harding, and you need people who can play in quite a subtle way to do that. It’s also amazing to realise that there are so many different approaches to our songs that can work really well,” he says. As so we return to Joe Boyd in this cyclical, cellular, musical tale of nature and history and relationships. The circle rings out louder than ever; breaking new ground, and still unbroken. 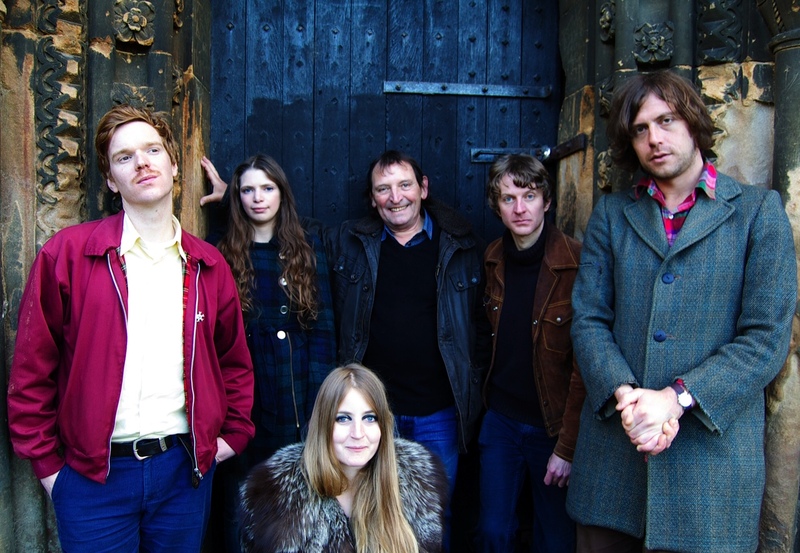 Trembling Bells and Mike Heron play The Mitchell Library on Jan 24 as part of Celtic Connections. This entry was posted in Interviews, Journalism, writing etc and tagged Alex Neilson, Bonnie Prince Billy, Celtic Connections, Incredible String Band, Mike Heron, Scottish folk, Scottish Pop, Trembling Bells. Bookmark the permalink.